So what are tax-free savings and what’s in it for me? Quite simply, the cheapest and most tax-efficient way for you to save. Whether it’s for your retirement or a big expenditure like a wedding, using a tax-free investment will help you get to your goals faster. Why would government want to give away tax revenue? South Africa has a very low savings rate. That is a problem for two reasons. First, it means there is less investment in the economy, which holds back economic growth. Second, it means South Africans are more vulnerable to short-term financial shocks, which can damage their productivity and have other negative social consequences. So government is keen to encourage more savings both to stimulate investment and also to ensure more South Africans are financially secure. Effective 1 March 2015, South Africans can save up to R33 000 per year in specially designated tax-free savings accounts. A lifetime limit of R500 000 of contributions also applies, which would take 15 years to reach if you contributed the full amount each year. Savers can withdraw at any time but new contributions are still subject to the cap. The accounts can be offered by traditional investment houses including asset managers, insurance companies, stockbrokers, banks and the government itself. The accounts can be invested in everything from low-risk assets like fixed deposits to high-risk equity portfolios, but not even riskier products like leveraged equity. The regulations stipulate that qualifying investments may not have performance fees built into them and that savers should be able to withdraw their money with, at most, seven days’ notice. In the case of fixed deposits or fixed-term policies, early withdrawal penalties can be levied but the amounts are restricted by the regulations. The accounts are free from all forms of tax on investments, including tax on interest, tax on dividends and tax on capital gains. Dividend tax was introduced in 2014 and is charged at 20%, with no exemptions. So this form of account is the only way to avoid those. There are already existing tax-free allowances for interest and capital gains. South Africans have a R30 000 annual capital gains exemption and R23 800 of interest exemption (R34 500 if you are over 65). Beyond those limits you have to pay an effective 16.4% of capital gains and income tax at your marginal rate (as much as 45%) on interest earned. A few years of savings into your tax-free account could take you over these exemptions. The great thing about tax-free savings accounts is that it is headache free – you can save with confidence that your savings are never going to get you into a position of owing money to the tax man and you don’t need to worry about monitoring your tax liability. Those tax savings compound over time, so your returns could be substantially enhanced by the tax savings. What investments qualify for the tax-free account? The draft regulations follow the principle that qualifying products should be simple to understand, transparent in their disclosure and suitable for the majority of individuals making use of the facility. Products issued by banks, long-term insurance companies and managers of collective investment schemes are allowed but those products may have no restrictions on the level of returns paid to the individual or on when returns are paid out. Products with performance fees are also excluded. Derivatives can be used but only to reduce risk of loss or to reduce costs – they cannot be used to gear the investment. Typical investments that will qualify include unit trusts, fixed deposits, real estate investment schemes and retail savings bonds. Certain linked and non-linked insurance investment policies that meet certain requirements would also be eligible.Existing investments cannot be transferred into a tax-free savings account, even if they meet the parameters. Paragraph 4(b) of Section 12T in the draft Taxation Laws Amendment Bill 2014 states that contributions in respect of tax-free investments must be an ‘amount in cash’, which would mean an individual would be required to disinvest from an existing product and then use the cash proceeds to contribute into the account. 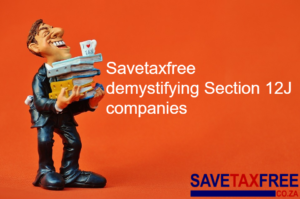 Similarly, service providers are prohibited from converting a pre-existing financial instrument or policy owned by an investor into a tax-free investment in respect of that investor. The draft regulations stipulate that, similar to unit trusts, investment products that expose investors to ‘an excessive level of market risk’ are excluded. This effectively excludes investing directly in shares on the JSE. It also means you will not be able to invest directly in exchange-traded products that are not registered as collective investment schemes, in structured products, smoothed bonus portfolios, investments with performance fees, investments with maturity terms longer than seven years and investments that charge high penalties for early withdrawals. Policies including life or disability assurance are also excluded. That depends very much on what kind of investments you make. You can invest in low-risk, low-yield investments like fixed deposits from a bank and earn around 6% a year. Alternatively, you could opt for high-risk products like exchange-traded funds invested on the JSE. Generally, the longer you can leave your savings, the more risk you should take. Risk means taking a chance that you could lose your capital, but taking that chance is rewarded with a probability of higher returns. The JSE has averaged an after-cost return of 18% over the last 20 years. Assuming that remains the case, if you invest R33 000 at the beginning of each tax year for the next 15 years your account would be worth R2.2m when you reach your R500 000 lifetime limit! Your R500 000 of contributions would have multiplied fourfold. Where can I open such an account? When can I draw cash? Products must allow individuals to access their funds within seven business days after they request it. Once an early withdrawal is made that amount may not be ‘replaced’. In other words, if you have invested R33 000 in a year limit but draw R10 000, you may not reinvest R10 000 later in the same year for the tax-free benefit. In the case of fixed deposits or policies with a guaranteed return, limited early withdrawal penalties are allowed. May I transfer into another tax-free account? New regulations for tax-free savings in 2018 kicked in on 1 March 2018 when the National Treasury provided TFSA investors with additional flexibility. South Africans will be able to switch part of or their entire TFSAs twice a year from one financial service provider to another at no cost. Can children invest in TFSAs? Anyone, regardless of age, can have a tax-free savings account. So a family of four, for instance, can each have an account, allowing it to save R132 000 per year tax-free. Service providers must be transparent in how they offer the account and comply with existing disclosure parameters outlined in the Financial Advisory and Intermediary Services Act of 2002 and the Collective Investment Schemes Control Act of 2002 and their subordinate legislations. The products that can be offered as investments within the accounts will be regulated by the Financial Services Board. Ok I’ve got it, what do I do next? We make our money from advertising by product providers on this site. Our directory of products includes everyone who submits their information, including those who are not our clients. But when it comes to recommendations and the editorial on this site, we are totally independent. The site is run by Intellidex, an independent specialist financial research and media company. We don’t offer investment products ourselves, so our opinions are our own.